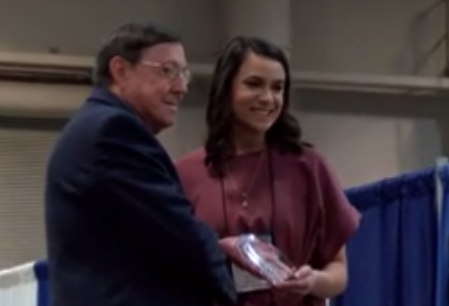 A few outstanding Louisiana students became the recipients of college scholarships during the Louisiana Solid Waste Association’s 2019 Environmental Conference this afternoon. Each year, three Louisiana high school students are awarded $1,000 scholarships. The money is sent directly to the Louisiana university of the students choosing. Scholarship recipient Lance Francis Gauthier III says he’s overjoyed and feel honored to be selected for such an amazing award. Lance plans on applying his scholarship towards tuition at Louisiana Tech.